"There is an irrepressible march that is moving forward of improvement in the city," says Bobby Fijan, a partner in Cross Properties. Hear the complete panel in our audio podcast. 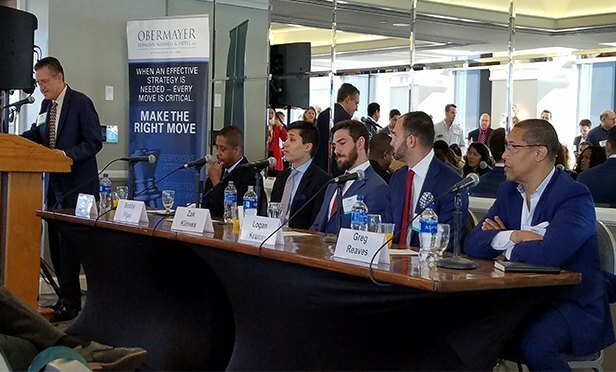 PHILADELPHIA, PA—Commercial real estate development in Philadelphia’s burgeoning neighborhoods is facing a generally good economic climate, with only a few clouds on the horizon in the form of increasing labor costs, lack of skilled construction crews, and uncertainty about city tax policies, according to a panel of developers.